Google held two big events within 24 hours: one with its subsidiary Motorola in New York, and another with its partner Samsung in Hong Kong. While there was some loose speculation around the web that maybe we’d see a new Xoom tablet or a preview of the next Galaxy Tab running Android’s new Ice Cream Sandwich operating system, the focus was rightly on what Google, Motorola and Samsung do best: making really great Android smartphones. It’s about making the phone experience bigger, more interactive, more capable. It’s about making the phone literally bigger — the Galaxy Nexus has a 4.65?, 1280 by 720 pixel screen, which while not unprecedented, is still really big for a smartphone, and way bigger than the 3.7? Nexus One screen. Motorola, too, continues to treat the smartphone as the center, not periphery, of a new computing economy. 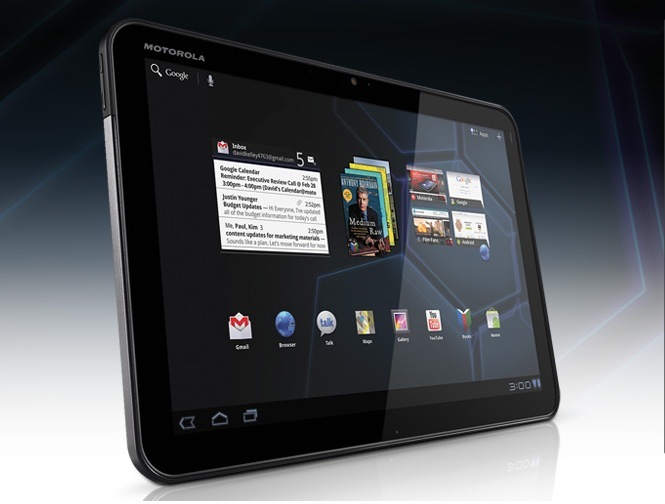 It builds out its Droid RAZR with the Motoactv media player, dedicated cloud syncing and backup, and a range of docks and peripherals that all communicate with and augment the computing power of the handset. The PC used to be the command center of your digital life; now, it’s the phone. Anything with a hardware keyboard is again relegated to the role of a specialized workstation. So what’s going on here? Why isn’t Google embracing this, racing to get out ahead of the tablet market, pushing the envelope on pricing and capabilities, and generally looking to disrupt the whole show? Ultimately, tablets just aren’t that big a part of Google’s business, nor are they likely to be. Google-approved Honeycomb tablets have only sold an estimated 3.4 million devices total. Ice Cream Sandwich finally opens up pieces of the new platform to everyone, but the focus is decidedly not on tablets, at least for Duarte: “Ice Cream Sandwich is where we say ‘huh, okay, how are those changes [first introduced in Honeycomb] going to work on phones?’” It may not be until Android Jelly Bean that we see Google’s full attention turn to tablets, if then. It may seem like I’m being harshly critical of Google or Android. Actually, I’m not. So I’ll spell it out: Google moving slowly into tablets while it focuses on smartphones makes perfect sense. It’s smart. It’s good strategy. It fits perfectly with where Google is today and how it needs to position itself tomorrow. Tablets are overwhelmingly consumer media devices. They can do many other things, and there’s some room for very specialized devices for the enterprise market. At their broadest base, though, tablets are best for sitting on the couch and reading books or magazines, browsing the web, playing games and watching video. This is why Apple, the quintessential consumer electronics and media company, has been very successful with them. It makes money from selling the shiny package, and it makes money again from filling it up with apps and media. It’s possible to outsource the electronics bit, but not the media bit or the consumer focus. This is why Barnes & Noble has been fairly successful with the Nook Color, and Amazon will probably be quite successful with the Kindle Fire. These companies can tailor Android for their own purposes and use them as remote digital retail outposts. Until very recently, Google was neither a consumer electronics nor a media company. It’s a search, communications, advertising, software and services company. If you look at their existing line of applications, only a few, like Gmail, Maps or YouTube, make a lot of sense for tablets. The vast majority of their apps, from search to document editing, make much more sense on either a traditional PC, a smartphone or something like a Chromebook. Real media companies — that is, content companies — haven’t been able to figure Google out. That, at least, is what Android chief Andy Rubin told Walt Mossberg Wednesday at the AsiaD conference. Over time, that could change. The landmark Google Books agreement, now at a lawsuit-imposed standstill, could be retooled and resurrected. YouTube and Google TV may become vehicles for original or licensed content to compete with Hulu or Netflix. Google’s nascent efforts in music could really take off. And Google could continue to treat all its Android handset makers equally while continuing to use Motorola as its officially sanctioned tablet manufacturer, bringing something unique and distinctive to those devices. Until then, Android tablets will be a solid value proposition for media retailers like Amazon, Barnes & Noble or Kobo, and a much less attractive one for Google itself than smartphones or even Chromebooks. So stick with phones, Google, at least for now. You’re getting really good at this.